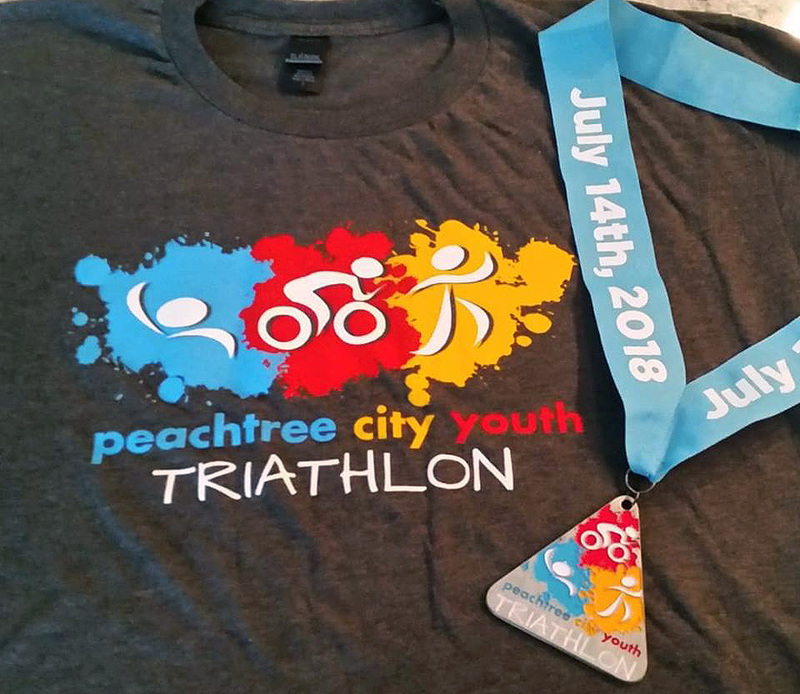 We created this unique logo for the Peachtree City, GA Kids Triathlon. 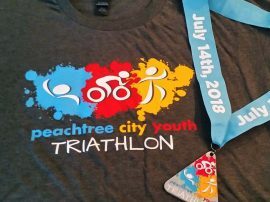 Athletes ages 6-15 are invited to compete in this friendly community race. Finishers medals will be awarded to all finishers as well as beautiful t-shirts. Distances for Juniors are 50 yard swim, 3 mile bike and .5 mile run. Distances for Seniors are 100 yard swim, 6 mile bike and 1 mile run.